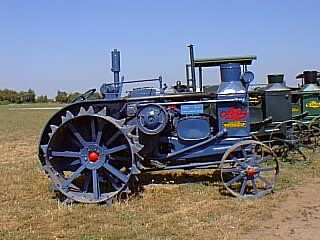 This was the last of Rumely's "lightweight" series. It had the same size engine as the old 15-25 "L", but would run 95 revs faster at 825 RPM. It was built from 1928 to 1930 and weight 6,776 pounds.